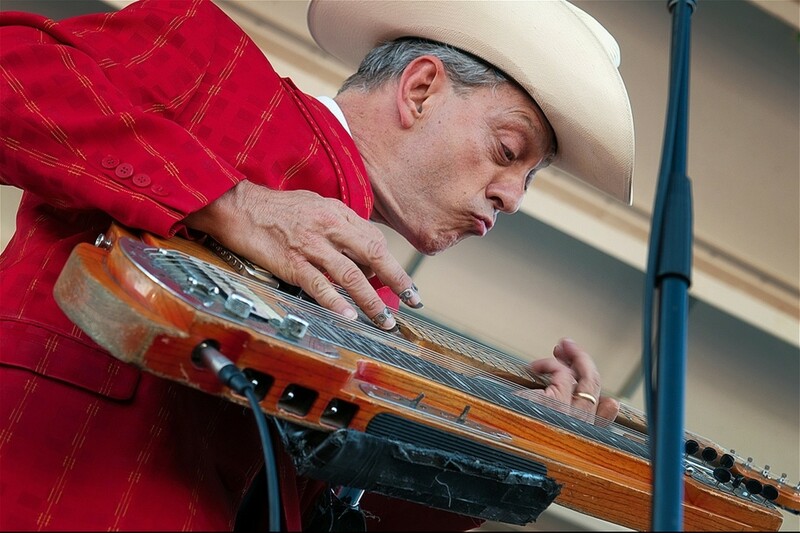 From the venue: With his unique voice, more unique song writing, and even more unique double necked “Guit-Steel” guitar, there has absolutely never been ANYONE like Junior Brown. Going back and forth plugging and unplugging guitar to steel guitar while singing, he had a dream one night about the two instruments mysteriously melding into one. The result was Brown’s unique invention, the “Guit-Steel”, a double necked instrument combining standard guitar with steel guitar that allows Junior to switch instruments quickly in mid song while singing. There is a wide range of styles that when combined can only spell Junior Brown.